Iridology is the study of a persons health using indicators in the coloured part of the eye, the Iris. It dates back to the ancient Egyptian and Chinese cultures and has been used by countless others. 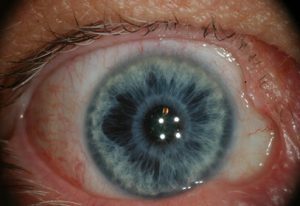 In the early part of last century medical doctors from around the world brought Iridology to prominence and they are responsible for a lot of the confirmatory research that was done. To this very day Doctors in Russian hospitals are still conducting research into aspects of Iridology. 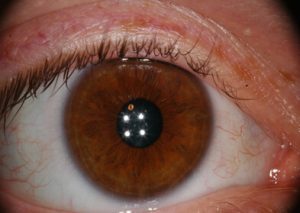 The Iris has a reflex connection to every structure within the body via the nervous system and the optic nerve, it is understood that visual messages are sent from the eye to the brain and it is thought that reflexively messages from the brain are returned to the eye indicating the health of the tissues. Each person’s Iris structure is a unique reflection of their genetic inheritance. Iridologists study the fibre structure, colour and markings upon and within the Iris to assess the person’s constitutional strength. 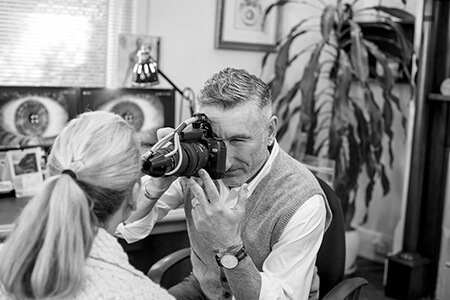 Iridology therefore is used as a health screening tool to help us understand the strengths and weaknesses of both the physical, mental and emotional bodies. It is particularly adept at indicating areas of congestion, inflammation and pressure within a person’s body. 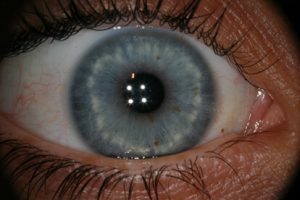 Our practitioners will perform both an Iridology and Sclerology assessment together and will take a series of pictures similar to the one below and go through them with you during your consultation. Neurogenic – physically strong, sensitive nervous system, lymphatic congestion. Dilated Bowel, acidic body environment, stomach irritation.